HAZARD Sover paddling when big, easterly current when northeast wind, windsurfers when northeast wind , finding a free parking spot Cold water showers available. This is a point break which is soft and offers a long ride because it is shallow for a long distance. It is popular among experts and beginners. Shirahama is a large beach giving surfers plenty of space to surf. Shirahama is especially sensitive to an east swell. It is often small but catches a good swell from the south offering good surfing from the left of center. Also there is a constant break in front of the shrine located at the far left of the beach and close to the river in the center of the beach. The right regular is a light break but among the highest class in Japan. It offers an ultra high-speed down the line and ultra high-speed barrel roll. When there is a northeast wind at Shirahama there is a tendency for the face of the wave to become rough. When Tatado beach has an onshore wind and small waves there is a good chance that Shirahama will have decent waves. From the latter half of July until the end of August there are lifeguards on duty from 8AM until 5Pm. Also, the surfing areas will be restricted. During this period there will be a fee for parking. When the winds pick up the wind-surfers will be out, so please pay special attention to avoid accidents with them. 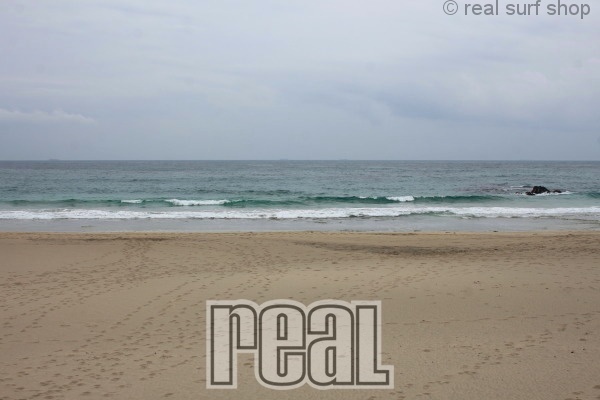 It is the most constant beach break in Izu which catches a good swell. Since there is little influence of wind and it is shallow for some distance, there is a good break, is soft and tends to ride well. It is a great spot for beginners to experts. At the time of a northeast wind, only TATADO becomes offshore, so it becomes very crowded. If the size increases, looking at the beach break the left side will be good for long boarders and beginners. From center to right will be good for short boarders. This is a rule that locals have made in order to prevent collisions with other surfers at times when there are a lot of people in the water. There is a good break right and left of center. Even at times of on-shore and west wind, there can be a good break here so it is a must-check spot. From the latter half of July until the end of August there are lifeguards on duty from 8AM until 5Pm. Also, the surfing areas will be restricted. During this period there will be a fee for parking. On the left side of the beach there is a parking area which is open from 7AM until 5PM. At 5PM the gate closes, so please make sure not to get your car locked in! HAZARDSA few rocks, locals, southerly current when south swell, easterly current when northeast wind, Finding a parking spot on good days Cold water shower available. This beach is divided into two sides by a rock outcrop in the center of the beach. It has a powerful damper break. If the size increases there will be a hollow barrel which will break offering good surfing for middle to upper skill level surfers. When there is a mellow smaller break Irita also is very popular among beginners. If there is an east swell the waves are not very good. Because the left side of the beach has a strong current surfers must pay special attention. Irita is especially best when there is a southern swell and a west wind. From the latter half of July until the end of August there are lifeguards on duty from 8AM until 5Pm. Also, the surfing areas will be restricted. During this period there will be a fee for parking. The parking lots on both sides of the beach are located just in from of several peoples homes so please do not play your car stereo or make other disturbing noises. HAZARD Ssoutherly current when south swell, easterly current when northeast wind, A few rocks at Maiso beach, impact on an inside sandbar. This is the most powerful break in Izu. If size goes up, a hollow barrel will form and break in the middle. Under these conditions it is only recommended for upper lever surfers. There is a good constant left break on the left side and a good constant left and right break on the swell in the middle. When there is a west or south west swell there is a good break on the right side. If there is a south swell it will be the best conditions here. Conditions are not good if there is an east swell. Keep in mind that there are many rocks although there is a left beach called MAISO beach on the left side of the river. Be careful not to break your board when the size goes up here! From the latter half of July until the end of August there are lifeguards on duty from 8AM until 5Pm. Also, the surfing areas will be restricted. During this period there will be a fee for parking.